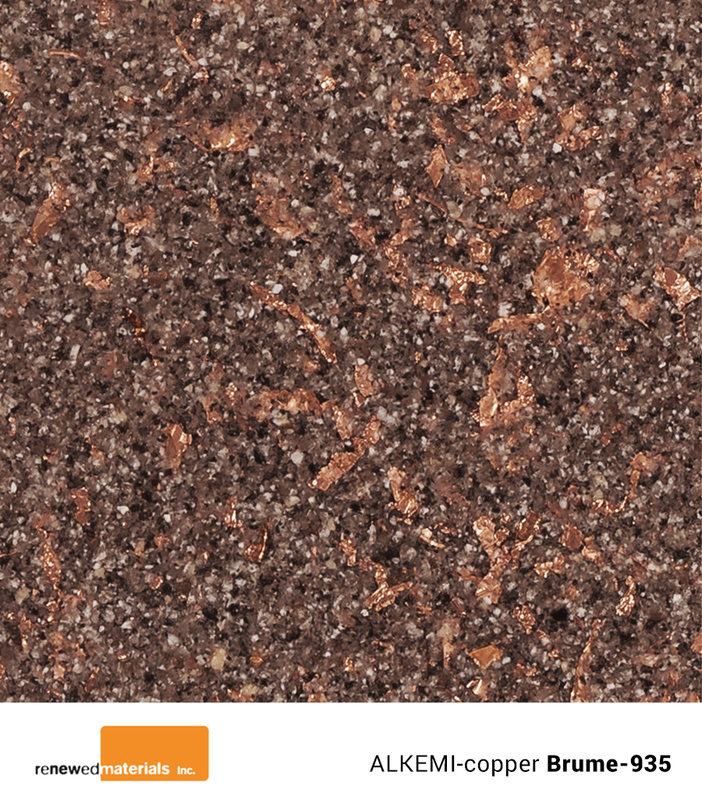 ALKEMI-copper is the brilliant new addition to the ALKEMI-acrylic line of recycled surfacing and tabletops. Containing 88% to 97% recycled content (highest recycled content surfacing materials in the World), ALKEMI-copper contributes toward satisfying credits 4.1 and 4.2 under LEED. As with ALKEMI-acrylic, ALKEMI-copper may be fabricated and installed by qualified solid surface professionals using conventional tools and methods. 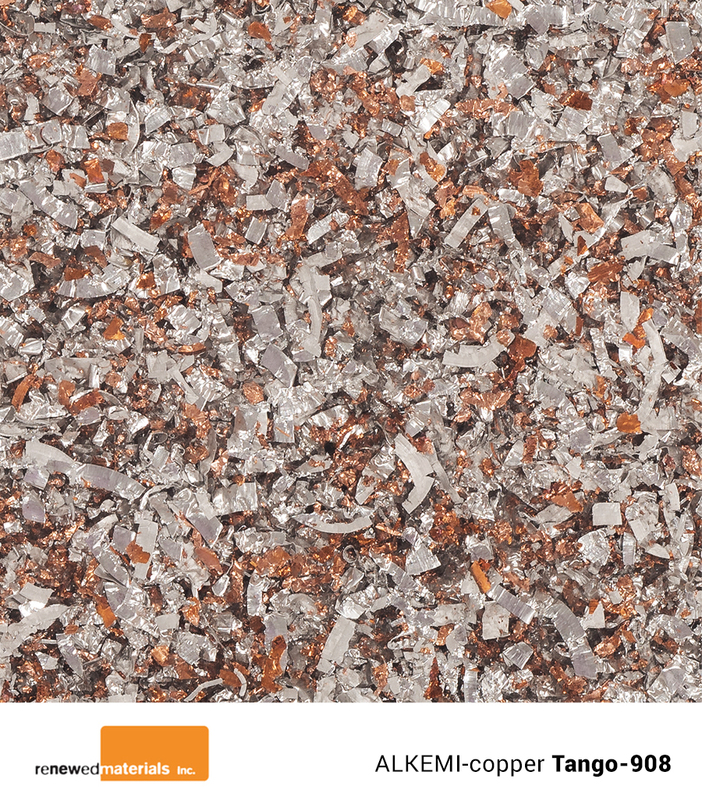 ALKEMI-copper contains 88% - 97% recycled content making it the highest recycled content surfacing materials in the World. 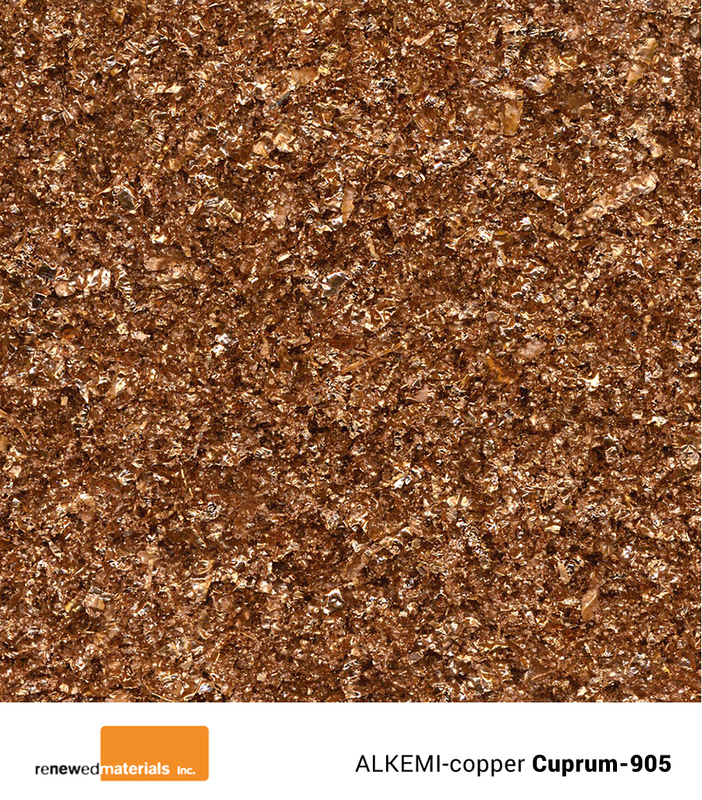 ALKEMI-copper satisfies credits 4.1 and 4.2 under LEED and is certified by Scientific Certification Systems for recycled content and air quality control. Learn more here. 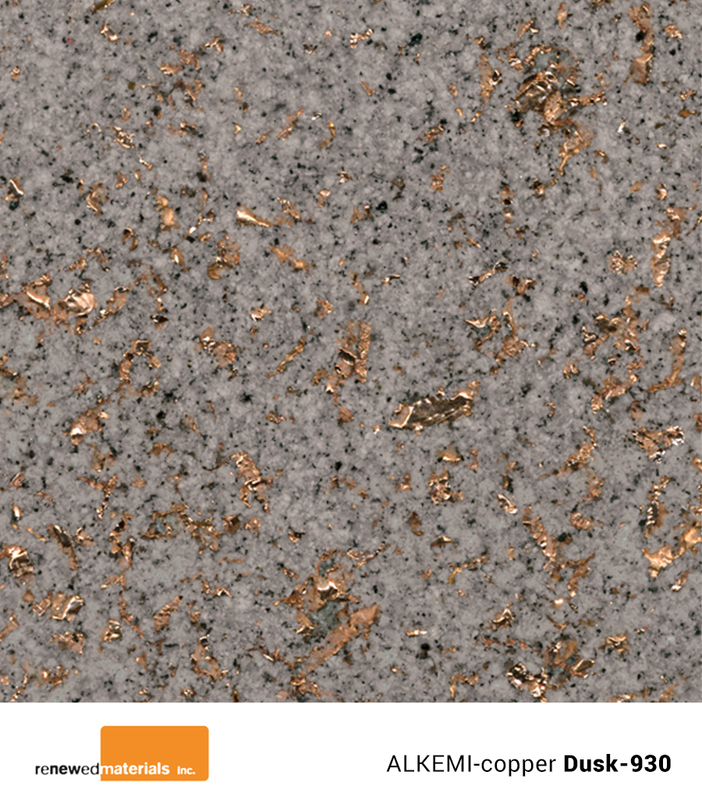 ALKEMI-copper is available in eight brilliant colors and can be finished from matte to high-gloss by qualified solid surface professionals. Due to differences in personal monitor and internet browsing settings, colors may vary slightly from actual product. Each featured sample measures 3in x 3in.